On my article about Social Shared Services, I examined the possibilities of adopting social media practices and social collaboration toolsets as part of the shared services offering and communication channel. 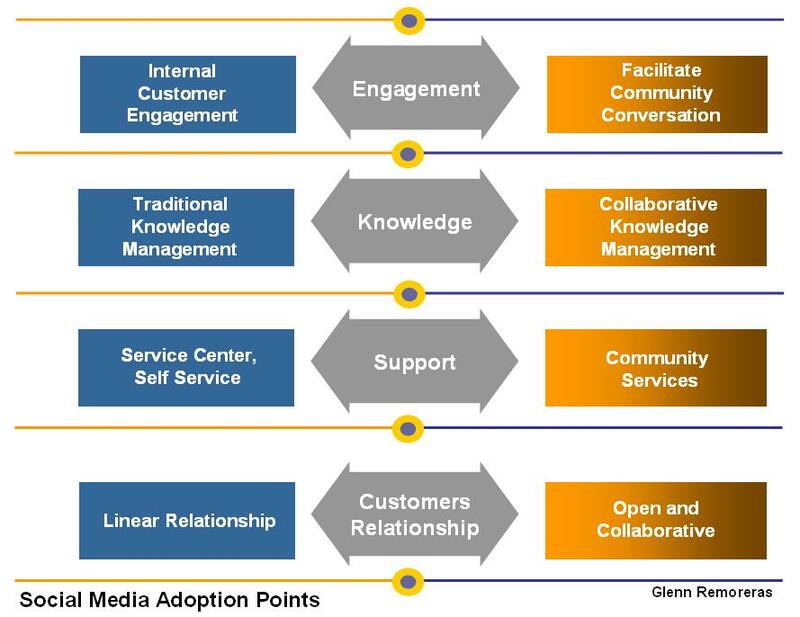 The “social media adoption model” I referred to does not apply ﻿only to shared services organizations but also to any other services organizations looking to harness social media. If you read my article on Social Shared Services, I cited “external collaborative research” as one of the six components of the social shared services model. It refers to the interaction of organization’s members with peers in other companies through “social” media and collaborative channels. This interaction results in collaborative research, benchmarking, enriched studies and shared best practices. This artcle aims to give a concrete example of how organizations can participate in forums and collaborate with external parties. There are existing platforms in the internet that allows “social” or collaborative engagement using advanced Web 2.0 toolsets. Take for example, the website Peeriosity. It is already used by many shared services organizations and companies worldwide. Peeriosity uses innovative platforms to enable collaborative communities and facilitates the sharing of experiences and best practices. This type of collaboration brings together a broad number of individuals with different areas and levels of expertise. When collaborating with peers, you want a wide selection of qualified individuals to work with. This platform allows organizations to engage peers beyond their internal ecosystem and to participate in forums, webcasts and research. Each research area includes live webcasts featuring leading experts and recognized peers on key topics. Participants can actively ask questions and share their perspectives and experiences. The tool in Peeriosity that I best like is iPolling. If you have an idea or a problem in your office environment, you typically look for co-workers within the company to discuss it. It is the same with iPolling except that you can confer not only with your co-workers but also your peers in other companies. With iPolling you can create your own poll in just a few minutes. Peeriosity then professional reviews it and distributes it to peers who have the most interest and experience in your specific topic. Poll results include a summary chart and the underlying detailed results. I think it’s a great way to get feedback from your peers about topics you care about and engage them in direct poll discussion and comments. Organizations can construct and enrich innovative ideas by leveraging the diverse and expansive expertise of the collaborative network. Attain benefits of scale through effective collaboration with peers across geographies and across industries concerning a topic of interest. Drive continuous learning in the organization by allowing its members to participate in webcasts and online forums. Maximize collaborative research efficiencies and reduce consulting costs. Drive employee engagement and performance by optimizing flow of good ideas. Interaction with an “extended” peer network can have a profound impact on creating a learning organization that can adapt, collaborate and innovate. I view new collaborative platforms like Peeriosity and other similar services online as an extension to collaborative channels already available to you. This is the same type of engagement you would experience when attending annual industry conventons and personally meet professionals in the same industry or practice. I personally don’t believe these types of platforms are possible replacements for traditional conventions, forums and training programs but instead, it allows you to continue the same level of meaningful interaction with your peers long after the event. I will leave you with the following questions: Is it time for your organization to adopt social networking practices and tools? How can you build a more collaborative and innovative organization? How can you promote patterns of collaborations that will allow your organization to become more efficient, innovative and engaging? Traditionally, the development of a shared services group within an organization was a result of the need to achieve cost reduction through economies of scale, centralization and process standardization. Starting in the late 1980s, large, decentralized companies consolidated basic transactional processes — such as accounting, payroll, accounts payable and purchasing — and charged business units back at cost. As business units increasingly recognized the benefits of bringing together services in an internal service provider, the functions of shared services grew over time. Advancements in technology and Enterprise Resource Planning (ERP) platforms enabled the shared services to link remote businesses and develop its end-to-end processes. Businesses today drive even more value creation from shared services, through functions like process management, knowledge management, product and service innovation, project and portfolio management, and business performance solutions. This allows the business to focus on its core activities. Organizations that have a mature shared services group continually evaluate other services as to whether they fit a shared services model. The objective of this article is to examine the possibilities of adopting social media practices and social collaboration toolsets as part of the shared services offering and communication channel. The exponential growth of social media has had a profound impact on the world’s businesses. Companies can no longer ignore the persistence and expansion of social media platforms. The growth of social networks and tools such as LinkedIn, Facebook, Twitter and others, has revolutionized the way we interact with our customers, peers and providers. But the question of value is often brought to the table when looking at these same social tools from the executive level — i.e. 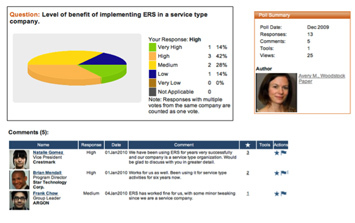 how can social tools be leveraged in a shared services organization? Forward-looking companies have started to embrace Web 2.0 practices and technology to encourage innovation initiatives. Can organizations like shared services take advantage of similar developments so as to enable and improve their function as an internal service provider to the business? 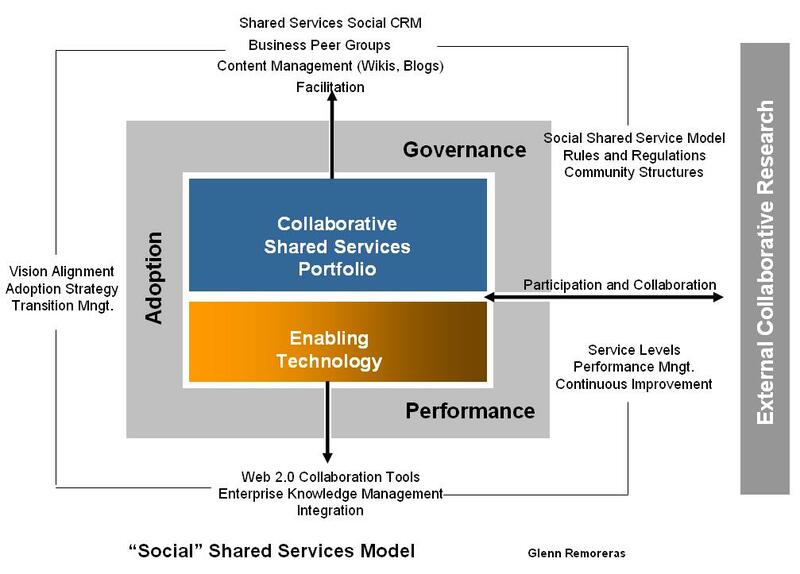 How can shared services leverage new collaboration tools and Web 2.0? Engagement — Engagement means enabling a community for your internal customers where they can freely interact with you and with each other. We are used to linear and traditional engagement with our internal customers. We communicate with them through traditional media like email, phone or personal visits. Think about the advantages of being able to talk to your internal customers in community groups where the best way to engage them is to communicate with them openly. Your role becomes that of a facilitator, leading the community engagement, which, in turn, results in value-creating collaborative outputs. Knowledge Management — As shared services, we keep track of process documentation, how-to’s and training materials. We keep these documents in certain locations for easy deployment to our internal users. Sometimes we enable portals to publish them and they become directly accessible to internal customers. Knowledge Management, the “social” shared services approach, is ceding control of this documentation to power users and the users’ communities — much like Wikipedia allows us to change its content collectively. The role of shared services now is to ensure the quality of the updates, edit content when necessary, and provide feedback to the community. Support — This is not intended to replace existing support groups. ‘Social’ support is just opening up a collaborative support channel — the ‘community support services.’ When end-users have questions, they can post these in a community and anybody can answer. Additionally, shared services support personnel can engage these end-users directly. Expert users and even regular users who are members of the community can also assist by providing links to how-to’s and wikis already available in Knowledge Management. If the questions and the answers are worth documenting, someone will update the how-to’s and wikis so everyone can have access to the latest version. Customer Relationship — With social media, customer relationship management (CRM) becomes open and collaborative. 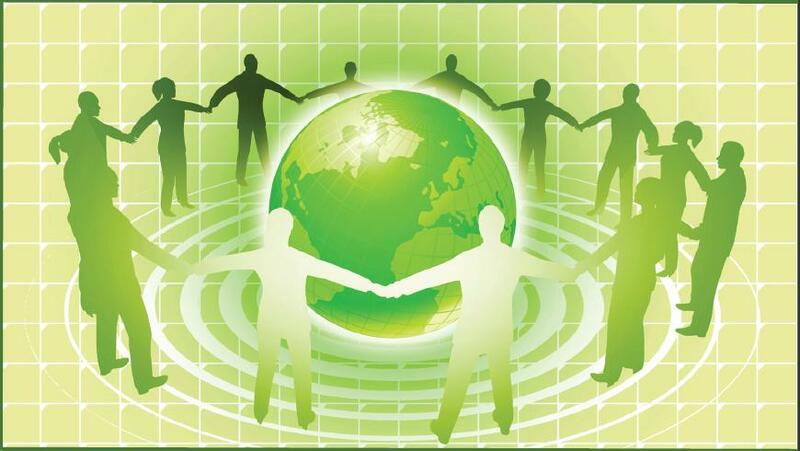 Social CRM extends beyond traditional CRM by focusing on people and collaboration. Processes covered by traditional CRM and will not be replaced — social CRM in a way supports CRM by focusing on meaningful engagement, on content and conversations. For shared services, going social on CRM is equivalent to interacting with customers through communities, wikis and blogs; enabling customers to critique the services; encouraging customers to share ideas and creating platforms in partnership to improve value creation. Collaborative Shared Services Portfolio — New channels enabled during the implementation of the ‘social’ shared services model. In a way, these new channels facilitate new forms of service offerings —these are the shared services social CRM, business peer groups, knowledge and content management and facilitation services. Enabling Technology — These are the Web 2.0 platform and applications available in the market that support collaboration, enterprise knowledge management and integration. Web 2.0 toolsets, including collaboration and productivity tools, use these technologies to help businesses deliver applications more flexibly and cost effectively. Adoption Strategy — Implementing the Web 2.0 toolset is the easy part. The main challenge is the adoption process. Adopting social media in a business setting is a cultural change process. Not everyone is used to this way of working and the implied new collaboration practices. There should be a strong strategic principle that guides shared services through social media adoption and thereby ensures the chances of success. This adoption process does not have shortcuts; it can’t be forced upon employees. Governance — Web 2.0 tools are equipped with powerful communication and dissemination technologies that may be difficult to control. To mitigate risk, the first thing that the organization should establish in this initiative is the governance strategy. Governance strives to bring order and sustainability to what would otherwise be a chaotic environment of ad hoc communication and information dissemination. This governance will include community policies, rules and regulations and community structures. Performance — Similar to shared services’ traditional service offerings, ‘social’ services portfolios also need service level definitions. Examples include how a shared services staff member is expected to answer a support question in a community blog, the performance of shared services in community facilitation, etc. The objective is to measure the effectiveness of the new set of services. 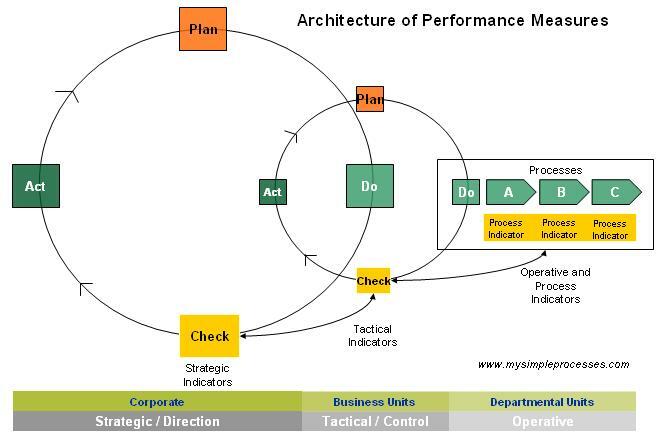 Part of the goal in performance monitoring is to draw up continuous improvement initiatives. External Collaborative Research — Why do it alone when you can participate and collaborate with peers? Innovative platforms and collaborative communities leverage technology and facilitate sharing of experiences and best practices. This type of collaboration brings together a broad pool of individuals with different areas and levels of expertise. This is the component of the ‘social’ services model that branches out beyond the internal ecosystem of the service organization and the company. The ‘human network’ is an adaptive entity and it is constantly learning. It is happening already in consumer communities — why can’t it work internally, in service organizations? Today’s service organizations are under pressure to give business users access to information on-demand. Internal customers are more fickle and demand a different kind of response: more flexibility, greater innovation, more attention, etc. Social media and technology are rapidly changing today’s businesses. This creates pressure on organizations and on the people in them to constantly adopt. Is it time for shared services organizations to adopt social networking practices and tools? I think you can best answer that question. Some businesses have already started looking into Web 2.0 adoptions. I think it’s just a matter of time before social media practices and the Web 2.0 toolset becomes more prevalent in organizations globally. ‘Social’ shared services will be able to support and promote a globally integrated virtual enterprise and extend the discovery and use of expertise across an entire ecosystem. Web 2.0 technology will help shared services bring together interaction among people, information and data to drive new opportunities and to foster communities. View full PDF version published in Shared Services and Outsourcing Network >> Social Shared Services.